The dogs knew they were going to die. They had seen the other dogs stuffed into the cage with them pulled violently out and sent to a violent death filled with suffering. 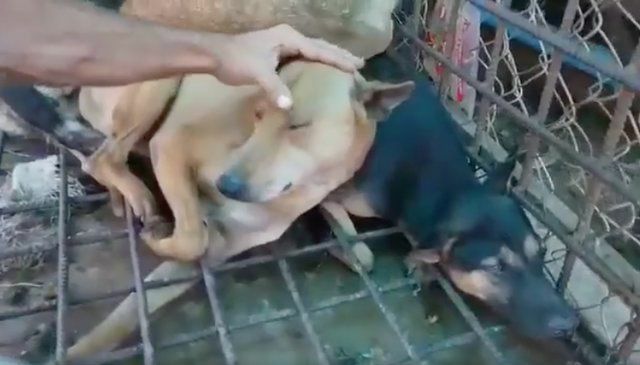 These dogs were part of the Southeast Asia dog meat trade, and their fate was going to be the same as hundreds of thousands of dogs in this part of the world every year. But this time, for these dogs, it would be different, thanks to Michale Chour and The Sound of Animals rescue operation. 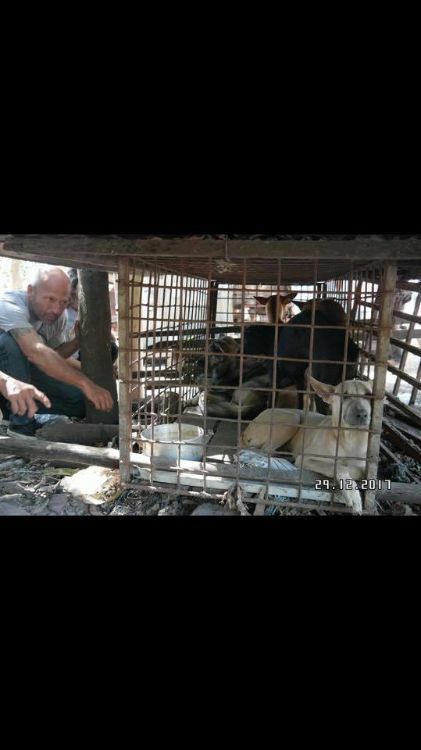 Sadly, this horrific practice is legal in Cambodia, and Chour's organization has no legal standing by which to seize and rescue all the dogs. Chour did what he could on this occasion by negotiating the sale of seven of the caged dogs. 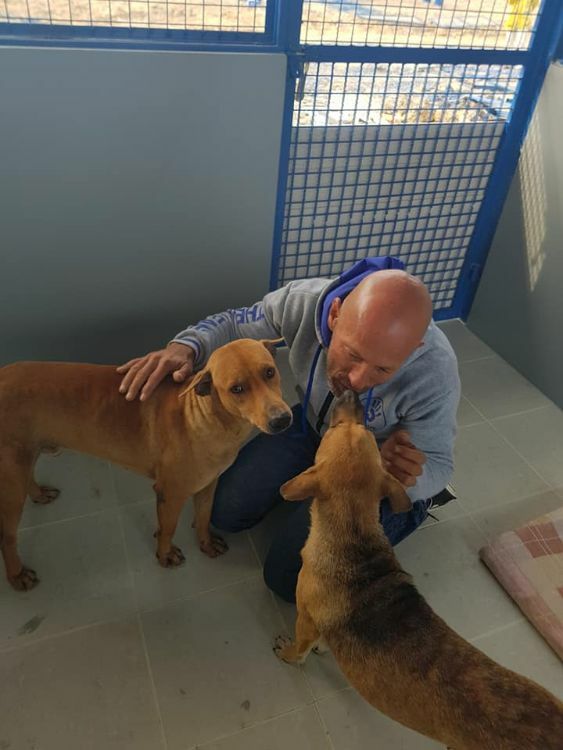 But the dogs didn't trust any human beings, so when Chour and his fellow rescuers opened the cage to get the dogs out, they backed fearfully into the corners, expecting pain and death to follow. That's when Chour did something to try to gain their trust: he stepped into the cramped cage with them! “Most of the dogs were frozen in fear and confusion, not knowing how to react except staying quite still,” Chour said. 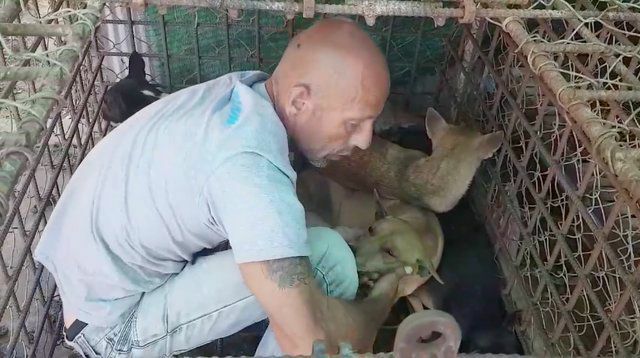 “Two of the dogs were very anxious and volatile so it was important not to provoke them.” He stayed in the cage with the dogs for over an hour until they had relaxed enough to move them out. 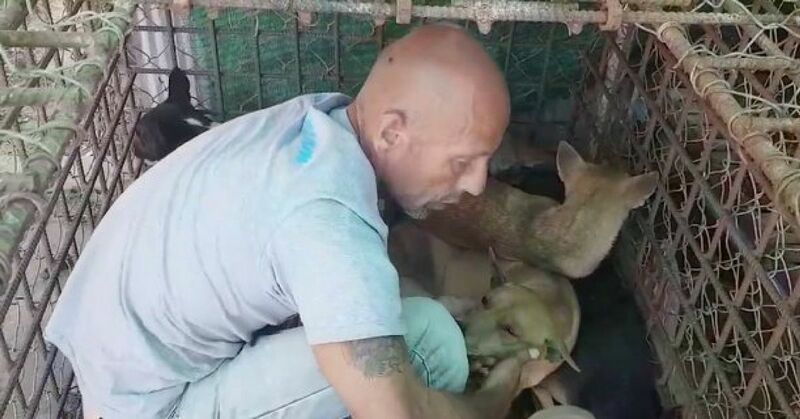 Chour and the rescuers gently transferred each of the seven dogs from the cage to their truck. 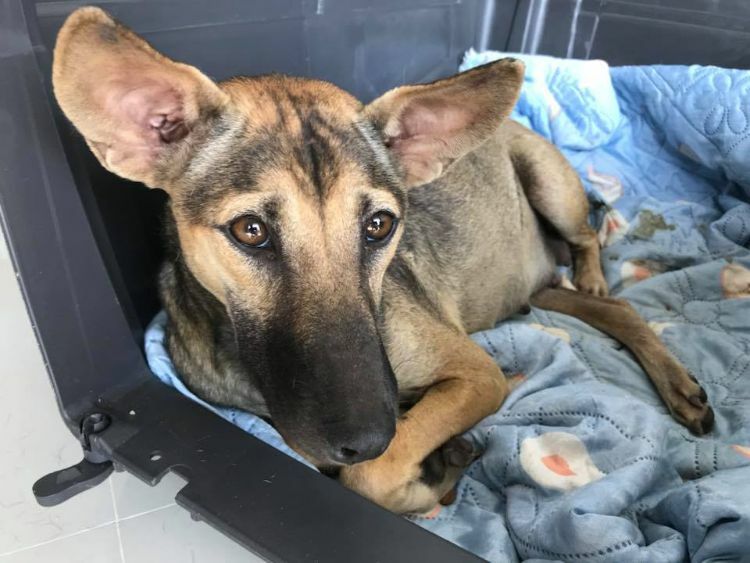 While Chour was thrilled to give these seven dogs a chance at a new life, he deeply regretted not being able to save the hundreds of dogs left behind. “I sat for a long time near their cages, asking them to forgive me,” he said. 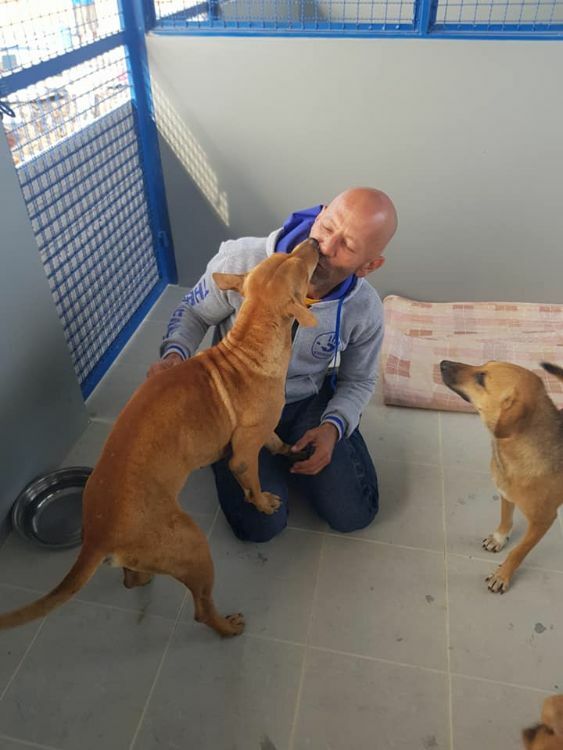 The dogs will all be adopted out and can be transported to families abroad. 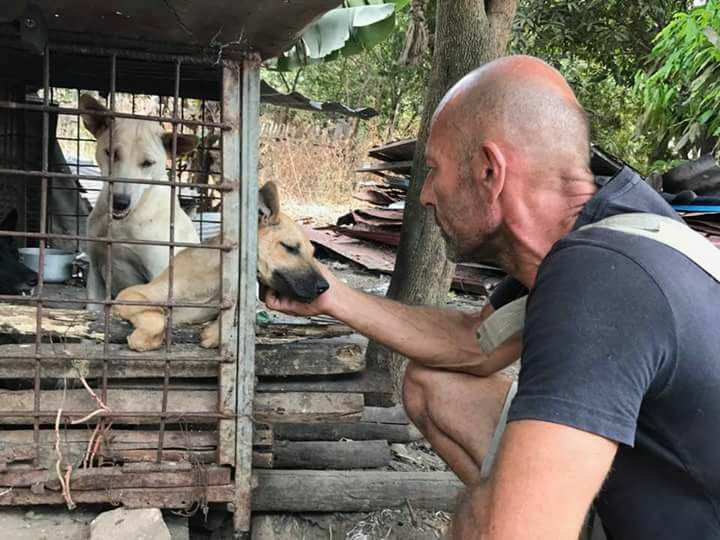 Contact The Sound of Animals if you're interested in adopting one of these lucky pups, or donate to the organization if you'd like to help save more dogs from the Southeast Asian meat trade. Watch Chour's rescue video of these dogs, and then share this story with your friends on Facebook.